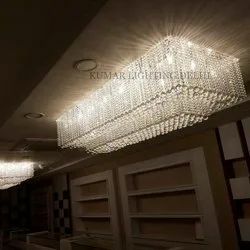 Offering you a complete choice of products which include chandeliers, big chandelier, crystal chandelier, crystal chandeliers, crystal ball chandelier and crystal & brass chandelier. 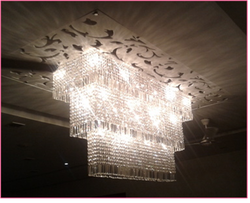 size:-dia 7feet and 8feet height and customized. material:- ss mirrior plate,borosil glass rod,acrylic . 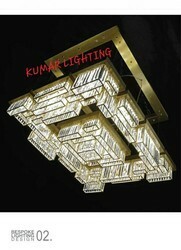 Lighting colour:- white,warm white,yellow and as per demand. 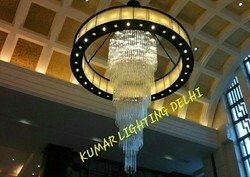 installation:- installation team availble here for any where. service:- all india and any where. Delivery:- delivery faclities availble here for any where. 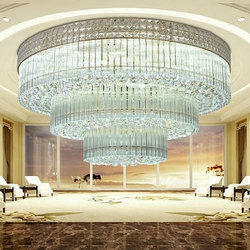 crystal chandelier for:- Banquet hall,hotels homes,kothies,bunglows and etc. materials:- ss mirrior finesh plate,borosil coloured glass rod. colour:- White,warm white,yellow and as per demand. 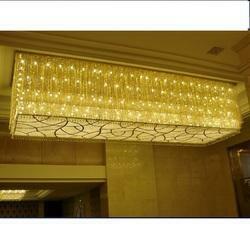 installation:- installation team availble here.for any where. material:- ss mirrior plate,14mm crystal and acrylic,albester. size:- 6feet * 2feet and height 18inch,customized. material:- ss mirrior plate, 40mm crystal ball,14mm crystal. 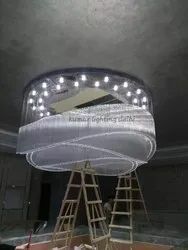 installation:- installation team availble here. service:- all india and forign country. size:- 6feet * 2feeet and 18inch height,customized. 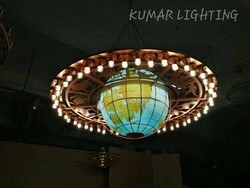 material:- ss mirrior plate,12mm borosil glass rod .40mm crystal ball. material:- ss mirrior plate,borosil glass,40mm crystal ball. size:- 6feet * 2feet and height 3feet,customized. material:- ss mirrior plate,14mm crystal,crystal patri. size:- 6feet Dia and height 8feet,customized. material:- ss mirrior plate,borosil glass rod 40mm crystal ball. size:- 8feet dia and height 6feet,customized. material:- ss mirrior plate,borosil glass rod. size:- 30inch * 72inch and height 18inch,customized. 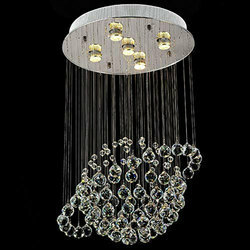 material:- ss mirrior plate,14mm crystal, 40mm crystal ball. 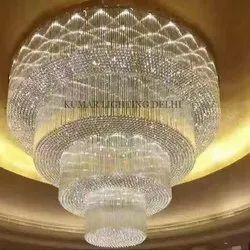 Having a keen perception of the increasing market demands, we are engaged in delivering quality certified series of Crystal Chandelier.